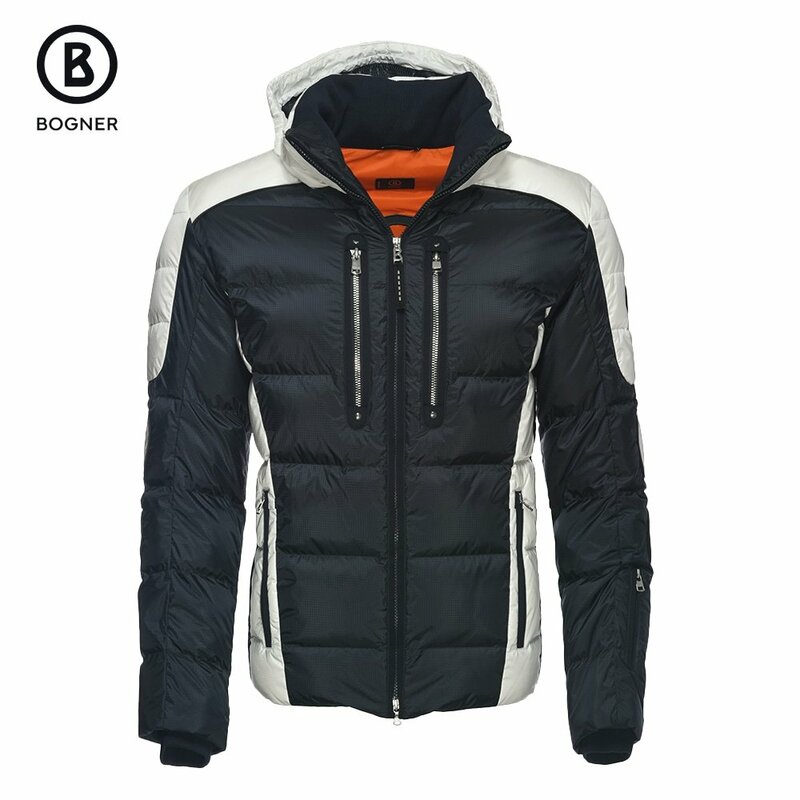 For men who know style is nothing without performance, Bogner created the Bogner Carter-D Down Ski Jacket, offering serious protection against the elements. This luxurious men’s ski jacket creates an extremely high-level barrier against snow and rain, with a 20K waterproofing rating to keep you dry in heavy, all-day storms. And because you’re likely to perspire while you’re crossing the mountain, there’s a 30K breathability rating to ensure moisture is quickly wicked away from your skin. The hood is removable for off-mountain exploits, and the jacket is loaded with enough pockets to securely store all your on-mountain gear. The Bogner Carter-D Down Ski Jacket is a sporty, high-performance jacket, ideal for the most discerning winter athletes.